Among all the countries in the world, Uganda is undoubtedly one of the most beautiful places to live in. Despite all the socio-political challenges, this beautiful region has been identified as one of the relatively stable and prosperous African nations. The Republic of Uganda has undergone a visible and astonishing transformation from bad to good. With the highest time rate in Africa, Uganda has experienced a 20-year insurgency. According to Buzzfeed, Uganda is not just beautiful but ranks high on the most beautiful places in the world. So what makes a place beautiful? Quite a range of things can make a country beautiful. It could be economic, the people (which by the way is the greatest asset of a nation), technology, culture, scenery and so on. If you’re in Uganda, some beautiful places to visit include; Mbale, Lake Mburo National Park, Mgahinga Gorilla National Park, Kidepo Valley National Park, Jinja, Fort Portal, LiraGaddafi National Mosque, Kibale National Park, Ssese Island, Bwindi Impenetrable National Park, Murchison Falls National Park, Entebbe, Queen Elizabeth National Park, and Mount Elgon National Park. From all indications, the Republic of Uganda has its beauty hinged on a natural endowment. The Republic of Uganda might not have all other socio-economic advantages of the developed world but for sure, the east African nation has undiluted and rich natural beauty. It has such eco-friendly asset that even technology and money cannot buy. 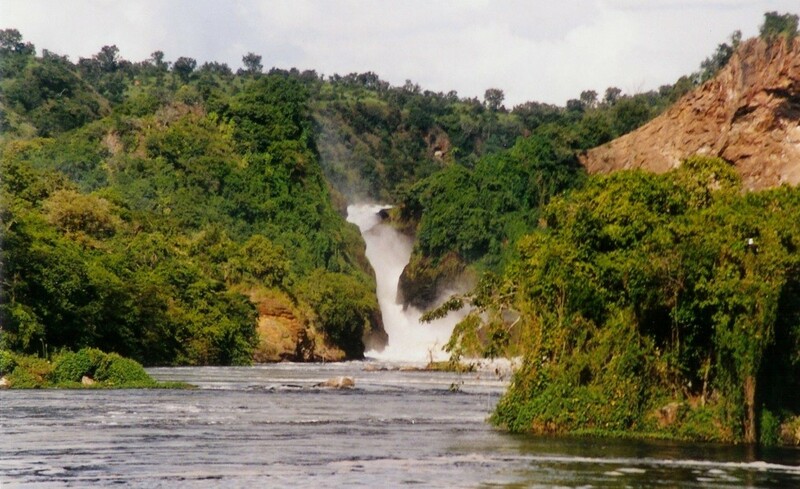 From the mountains of the moon (Rwenzori) to the starting points of River Nile and Lake Victoria, such are the intricate beauties of the tropical region. 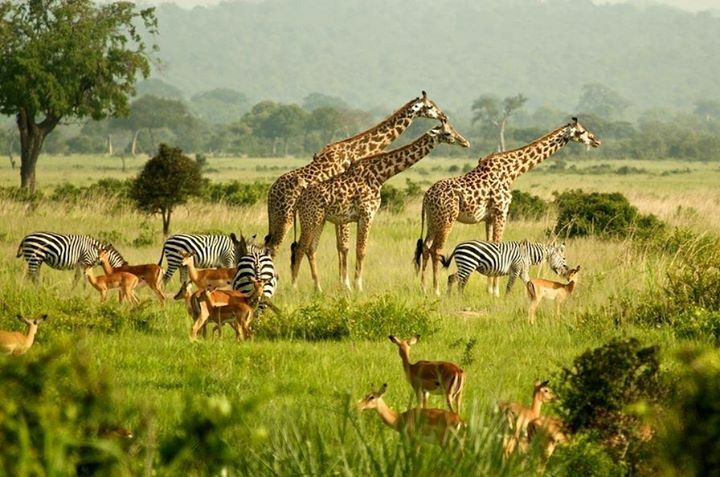 Adding to that, Uganda is the go-to place for the best Wildlife experience. A trip to the Murchison Falls and National Parks will convince you. Africa surely has beautiful places. Last year the UN proclaimed Kigali, Rwanda’s capital, the most beautiful African city. The award was based on the natural decor, aesthetics, and cleanliness of the city. Now, on a larger scale, the Republic of Uganda steals the limelight. Perhaps why it is called the ‘pearl of Africa’. Uganda is also beautiful for her natural and wildlife resources. Though small, the pearl of Africa is home to about 35.6 million people. The multi-lingual nation has citizens who fluently speak English, Swahili, Luganda, various Bantu and Nilotic languages. With the attributed economic growth under Yoweri Museveni’s tenure, there is definitely more Uganda-beautiful facts to be unfolded. Concurring with the development, CNN in 2014 says that the African nation has bounced back to become a “2-time tourist destination” in Africa and the world at large. Food-wise, meat or chicken stews are popular in Uganda. Both are usually served with rice, ugali (a stiff maize porridge), chapatti, or matoke (a cooked plantain/banana mash). Mandazi, a type of doughnut, is another sweet dish Ugandan locals and foreigners enjoy to bits. The Ugandan beans and chapati are similarly sweet and tasteful, though most people prefer eating it with fresh avocado. Street food is one good thing most people, including tourists, cannot do without in Uganda. Favourites are usually goat skewers, samosas, or Rolex (chapati rolled with eggs, onion, and tomato), and grilled maize. Then comes fried bugs! the sweetest of them all (only a handful of people will argue this). Fried bugs are mostly in season during white ant, termite, or grasshopper season. A dish of properly fried bugs leaves most Ugandans salivating for more. Just try it. Finally, there’s this small sweet banana that can only be found in Uganda (just about 4 inches long). Truth is, Ugandans eat more bananas than anyone else. They even have a banana flavoured beer (sometimes consumed during rituals and ceremonies), which shows how important this fruit is to them. The country houses more than half of the world’s remaining endangered Mountain Gorillas. It is home to more than 1062 bird species or more than 58% of all bird species found in Africa. Tree climbing lions are only found in Uganda. This is in addition to its vibrant nightlife, which is usually spent with beautiful women, handsome men, and tasty beers. What are you waiting for? 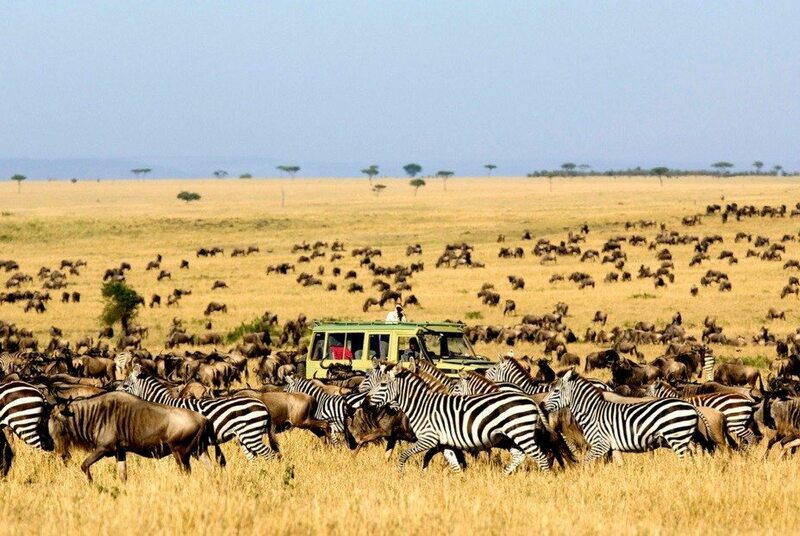 Go get your luggage ready if you really want to explore the beauty of this great African country.